Trick or treat yourself or your favorite ghoul with our Halloween Candy Stash gift box. 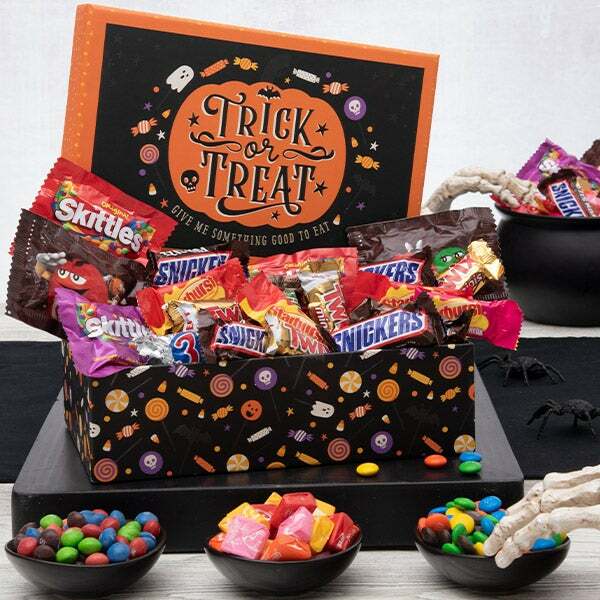 This colorful Halloween themed box is brimming with over a pound of spooktacular candies and chocolates. Scare up smiles with classic Halloween favorites like M&Ms, Twix, Snickers, Tootsie Roll Pops, Skittles and more. Mixed Candies - All your favorite candies including M&Ms, Twix, Snickers, Skittles, Tootsie Roll Pops, Milky Way, Starburst and more.